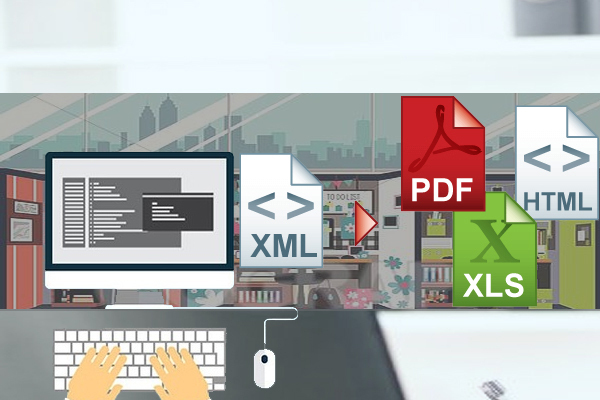 Posted On : 19 March 2019 | Author : Data Plus Value Team | Tag : HTML to XML Conversion, PDF to XML Conversion, MS word to XML Conversion, Data XML Conversion, Affordable Best XML Conversion Services. XML is called as an Extensible markup language. Like HTML, XML is also markup language. Generally, it is used to or define text and information. XML is generally used in conjunction with HTML. Along with this XML is valuable because it is device cross platform device independent language. XML is basically known to many bloggers and internet users like RSS, which is mainly a lightweight XML format that is used to share blog feeds and headlines. Main feature of XML is that it solves the problem by ensuring that the most relevant data can be displayed across different platforms. That's why XML is considered as precious. Companies dealing with complex and large content. Outsourcing companies provides security and expediency or organization in managing updating and retrieving data. Upon completion of the xml conversion tasks, the companies provide the finished outputs in any of the structured file formats as per your requirements. Lastly, it can be said that if you require best XML conversion solutions at affordable prices with standard quality and high accuracy in work. Then outsourcing is good option for your business needs.